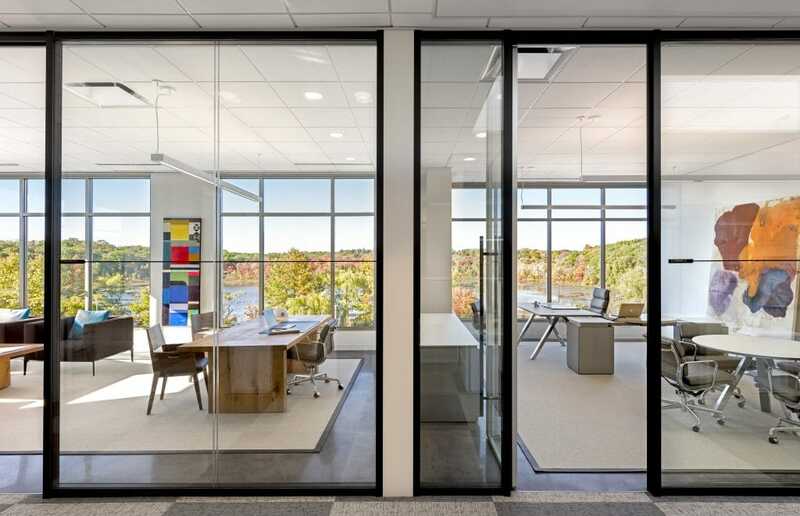 32,000 sf office fit-up of the retail development firm’s Chestnut Hill headquarters. 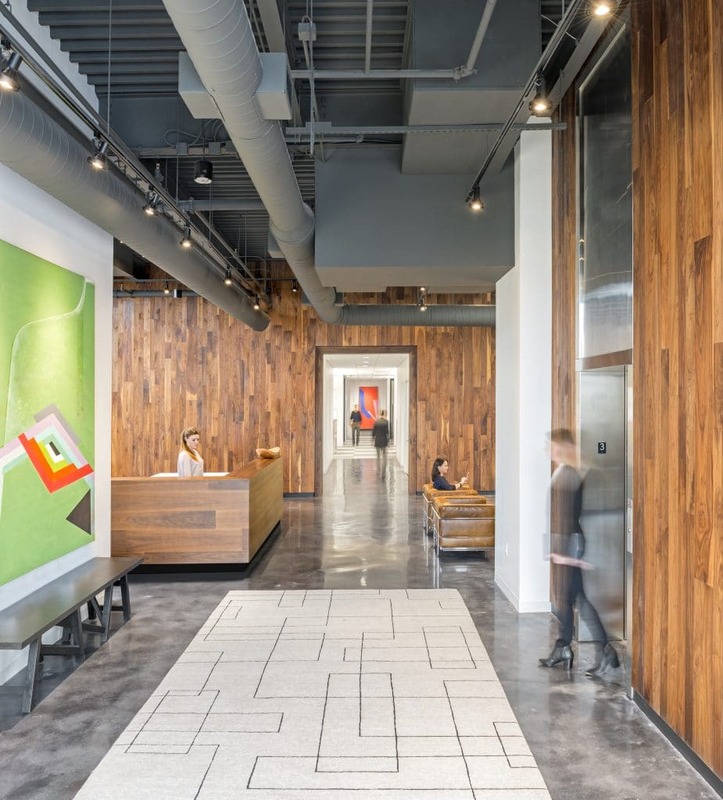 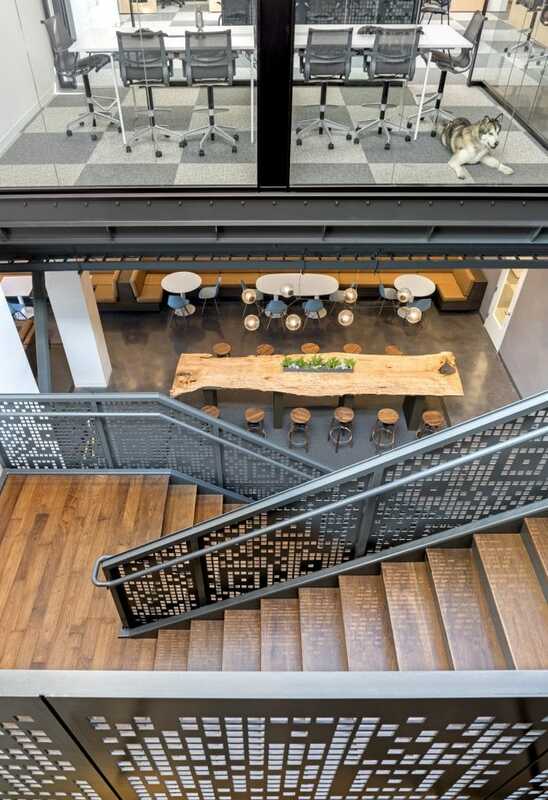 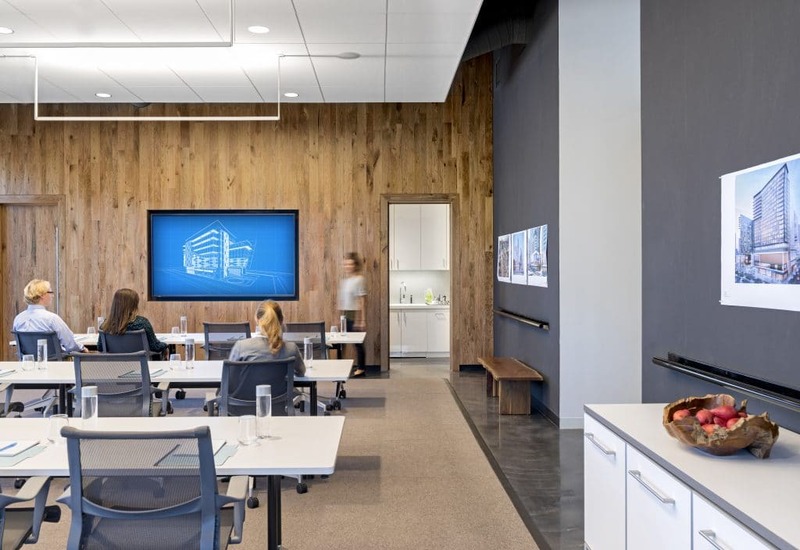 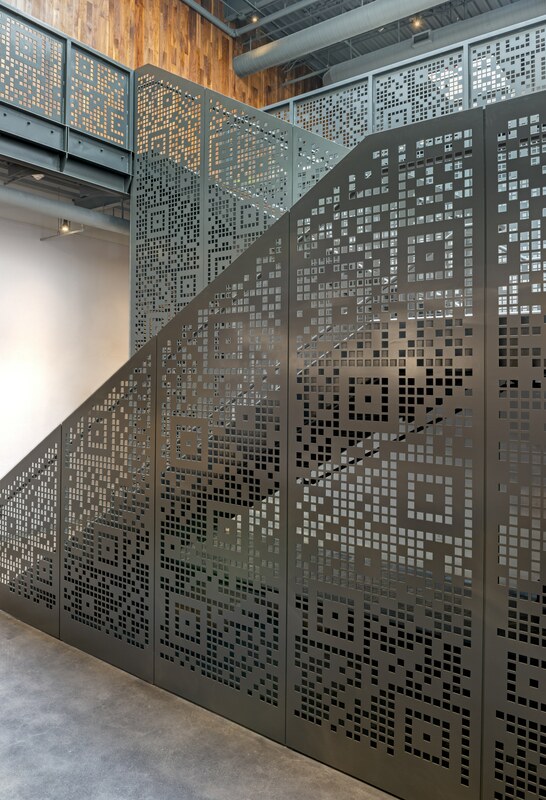 Numerous high-end finishes were employed in the space including custom stained concrete floors, natural hardwood finishes, a sloped ceiling grid with alternating tile sizes, and a custom steel staircase designed to represent the company’s QR Code. 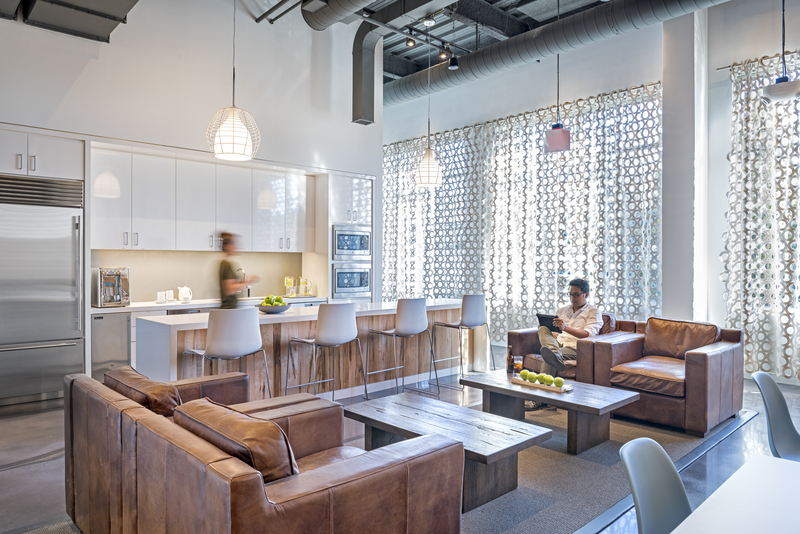 A SunDialer window shade system was installed to maximize daylight and reduce solar heat gain and glare. 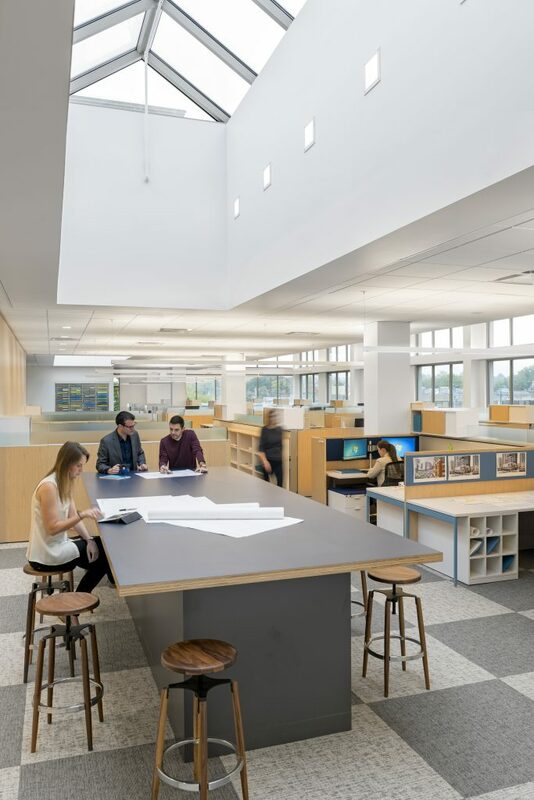 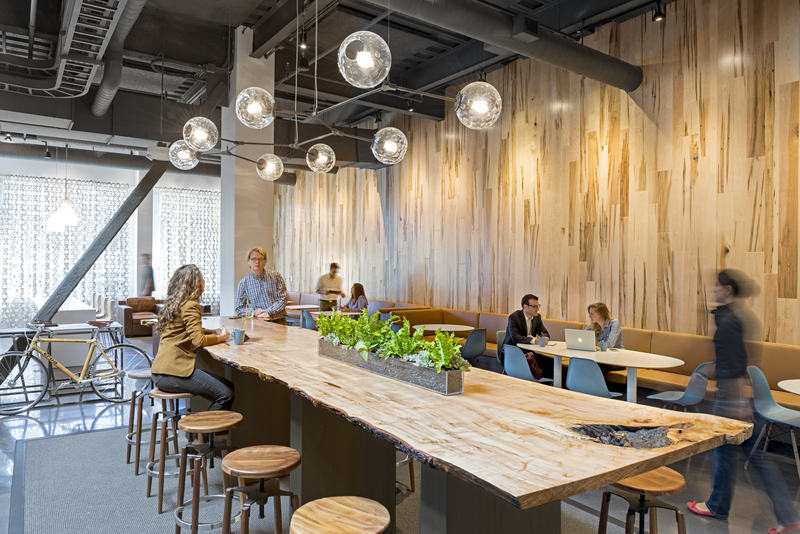 Efficient HVAC, plumbing, and lighting systems were installed throughout the space to meet the client’s sustainability standards.